Dubai’s specialty coffee scene is experiencing exciting times … The Gulfood Show, now the largest food show in the world, drew to a close last week including its very own specialty coffee area courtesy of the Specialty Coffee Association of Europe. But also, it has been confirmed that Dubai will host next years world Turkish coffee competition. From the rapidly rising interest in this town from the world’s coffee community, we can clearly ascertain a great increase of quality coffee descending on Dubai. Another sign of the times is Sabado Coffee Club, which is regularly attended by coffee people and non-coffee people alike. 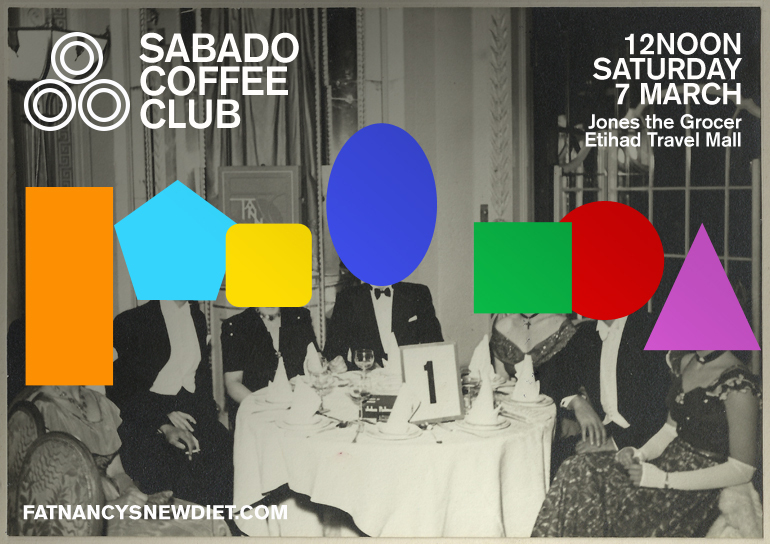 Sabado is a social coffee club that was born out of a desire to raise the standards of Saturdays by attracting like-minded people who love coffee, food and flavours. All with an interest in where their produce comes from. Sabado Coffee Club is hosted by a different café each month. We traverse all corners of the earth to track down interesting roasters who are creating fantastic coffees. We then collect the votes, find the favourite and make a filter brew for all to enjoy. Simple. This month’s Sabado Coffee Club was a little special because it was hosted by the Middle East’s first and only Coffee Museum which recently opened last October. The museum offers guests an experience of different regional styles of coffee such as local Arabic style, Ethiopian style and Japanese style. But most important of all, it offers guests a genuine insight into coffee as a symbol of warmth that extends from the Emirati home. The Museum proved to be a perfect venue and we had some equally exciting coffees too. We had a selection from coffee roasters in Turkey, Netherlands, Scotland, U.S.A, England, Guatemala and even Romania. Soon after the winning coffees were selected, we all enjoyed genuine Emirati hospitality – Sabado Coffee Club guests were invited to an Emirati social space for talking and eating and we were all treated to some authentic Emirati dishes of goat with rice fruit and nuts followed by Arabic coffee. Sabado Coffee Club is very informal and relaxed – it starts at 12 noon and lasts as long as people wish to be there. You don’t need to have any specialist knowledge and each month we will give a quick class on cupping (tasting) coffee for those who would like to know.